Dogs love to chew …. 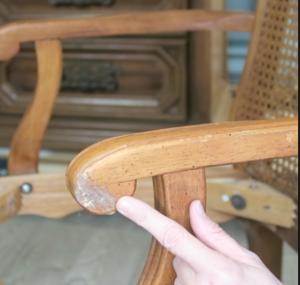 and sometime their love of chewing on wood results in damage to our furniture. Don’t throw it out…. let’s fix it. 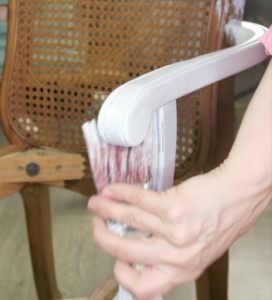 Then we want to add Dixie Belle Mud with a putty knife to fill in the chewed or damaged area. 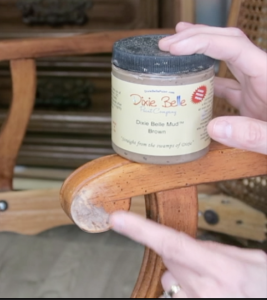 Dixie Belle’s Mud is easy to apply, easy to sand to a smooth finish, and when it cures it nice and durable. 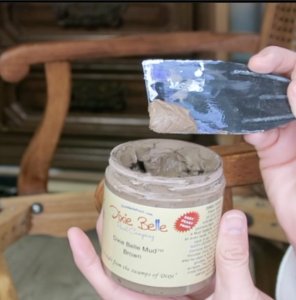 (Tip: Store your Mud in the refrigerator once its been opened to keep it from spoiling). Once you’ve applied an even coat of Dixie Belle Mud, let it dry (for this project, I let this thin coat dry for 4 hours before sanding). You can see that it lightens in color once its dry 🙂 . 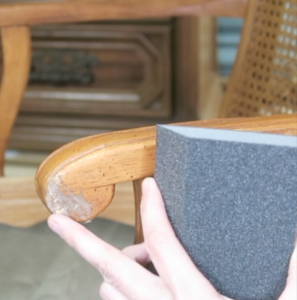 Use a high grit sand paper (220 to 400 ) to smooth out the Mud and make it blend with the surrounding surface of the furniture piece. 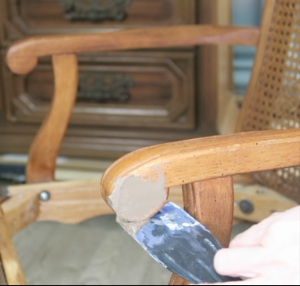 I like to sand in small circular motion to leave it nice and smooth without any sanding lines left behind. 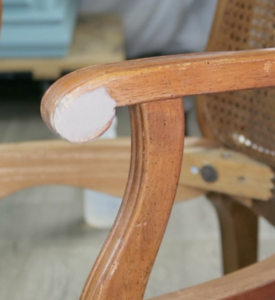 When you have it looking the way you want, then dust it off with a dry cloth. Now it’s time to add some primer. I prefer to use either Dixie Belle Slick Stick (for glossy surfaces) or Dixie Belle BOSS. 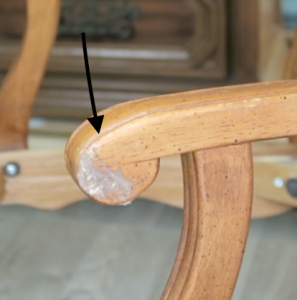 You will want to prime (even if your piece normally wouldn’t need primer) this area to seal in the Mud and to make it have the same texture as the rest of the furniture piece. 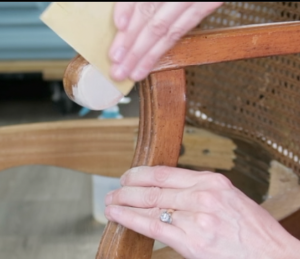 The primer will make it less detectable when you are completely done with the process. Let the primer dry for at least an hour before going onto the next step. 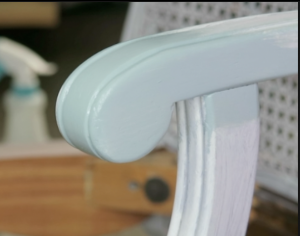 Now you can paint and then follow up with a top coat sealer. 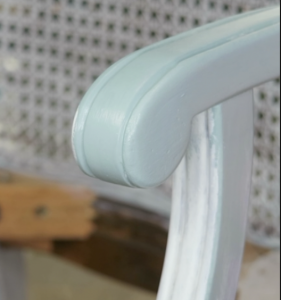 I use Dixie Belle’s Vintage Duck Egg as my paint color and then I followed up with Dixie Belle’s Top Coat in Flat.